Managing an investment property is a 24/7 job with no nights, weekends, or holidays off. Emergency circumstances can arise at any time of the day or night, and you must respond quickly to your tenants. Otherwise, it is easy to get caught in a sticky situation if you’re not following all landlord laws and regulations. Sacramento property management companies do so much more than simply collect a rent check each month. The team at Real Property Management SAC-METRO knows how to maneuver through the ins and outs of owning a rental home, all while avoiding costly legal pitfalls. Some landlords learn the hard way that having an investment property is not as easy as it may appear. Renting out a house comes with legal and financial risk. You need to be careful to comply with any federal, state, and local laws and regulations. Expensive violation fines hurt your cash flow and can ultimately put you out of business. Remaining up-to-date on all codes, ordinances, and rules can be difficult due to the law constantly changing and being restructured. The legal experts at Real Property Management SAC-METRO offer a few suggestions to protect yourself as a homeowner and safeguard your property. During the tenant screening process, you gather a significant amount of personal information about your applicants. You should keep this information secure and private. There are serious legal consequences if you fail to keep their personal data confidential. No matter where your rental home is located in the greater Sacramento area, from Auburn to Roseville, property management experts from Real Property Management SAC-METRO can help you handle the tenant application process in a legal manner. Precise documentation is a huge asset if you find yourself in a court battle. It all begins at the lease signing. A clear and concise rental agreement helps protect you in a court of law. 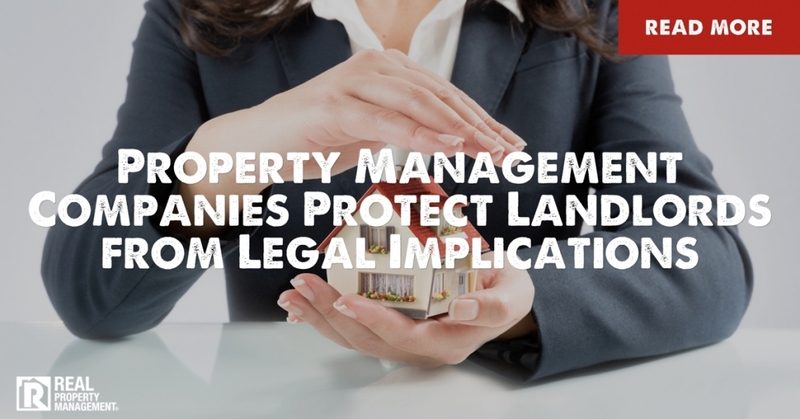 It is vital for a contract to outline exact tenant duties versus landlord responsibilities. Once tenants move in, the need for documentation only continues. Sacramento property management companies use a variety of methods to track tenant interactions. At Real Property Management SAC-METRO, landlords and tenants have access to user-friendly online portals. This is a convenient and reliable way to record every exchange. As an investment property owner, you will encounter various circumstances when you are required by law to provide notice to your tenants before taking action. The government website for California legislative information outlines what scenarios necessitate formal notices. For example, if you need to terminate the lease, whether your tenants are violating their rental agreement or have not paid rent, a written notice is necessary. On the other hand, if you want to extend an offer to your tenants to renew their contract, this requires notice as well. If you intend to increase the rent rate, notification is mandatory. If you need to enter the home to conduct a home inspection or make maintenance repairs, a notice of entry is essential. Just because you own the home, does not mean you can enter it at any given time. Tenants are entitled to a safe and livable environment. While making needed repairs can be a financial burden upfront, not fixing a problem can drastically impact your profitability if you incur legal expenses or fines. Conforming to the law saves you money in the long run. Also, make sure to hire licensed and insured contractors to conduct all maintenance. We are committed to your success. With more than 30 years of experience, other Sacramento property management companies do not compare to our standards. You can trust our proven processes to increase your cash flow. Check out our comprehensive list of services and see how our experienced team can get you a better return on your rental property. Call Real Property Management SAC-METRO today.